NEWPORT BEACH — State, regional and city officials will be meeting with local boaters, boatyards and marinas later this month to discuss a copper reduction proposal for Newport Bay. The Newport Beach boating community will have the opportunity to discuss copper reduction measures at a July 23 State Water Resources Control Board meeting at City Hall. Newport Bay’s boaters could be required to reduce copper by 83 percent within 15 years, according to a Total Maximum Daily Load (TMDL) project proposal issued by State Water Boards staff. Linda Candelaria, an environmental scientist with the State Water Resources Control Board, said the collection of new data means it is time to update TMDL implementation strategies. The EPA found in 2002 antifouling paints from boat hulls were the primary source of copper in Newport Bay. A March 2014 report by Candelaria and Orange County Coastkeeper for the Santa Ana Regional Water Quality Control Board found sediment from Newport Bay exceeded the state’s maximum allowances of copper, mercury and zinc, especially near Balboa Island Channel, Harbor Marina, Lido Village and Lido Yacht Anchorage. The state’s project proposal stated copper levels in Newport Bay have exceeded safe levels. Copper reduction strategies have already been implemented in Marina del Rey and San Diego’s Shelter Island. 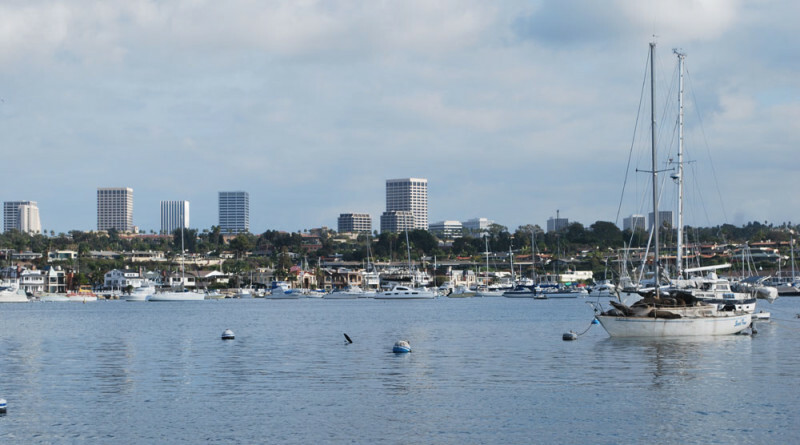 The Los Angeles Regional Water Quality Control Board directed Marina del Rey’s boaters and stakeholders to reduce copper levels 85 percent by 2024. A regulatory order issued in 2005 required San Diego to reduce copper levels at Shelter Island 76 percent by 2022. Candelaria added state and regional officials hope to gather direction from boaters and other stakeholders. “We will not have the actual proposed amendment language prior to the meeting, since part of the purpose of this meeting is to discuss proposed actions and to obtain input from stakeholders on these proposed actions,” she said. State Water Resources Control Board staff said it is also developing non-TMDL strategies to address other exceedingly high metal sediments, such as mercury and zinc, in the bay. Other methods state, regional and local officials will be incorporating into copper reduction strategies include use of best management practices by hull cleaners and promoting the use of slip liners during hull cleaning. The July 23 scoping meetings, which will be held at 1:30 p.m. and 6:30 p.m. in the Community Room at Newport Beach City Hall (100 Civic Center Drive), is the first step of a lengthy approval process. A draft TMDL plan will be issued after the meeting and the public will have 45 days to comment on the proposal. The comment period is followed by a Regional Water Quality Control Board public hearing. If the TMDL plan gains the board’s approval, it would have to be adopted by the State Water Resources Control Board, Office of Administrative Law and EPA in order to be effective. Regional Water Quality Control Board staff anticipates holding a public hearing process later this year. Newport Bay is home to about 10,000 recreational vessels.